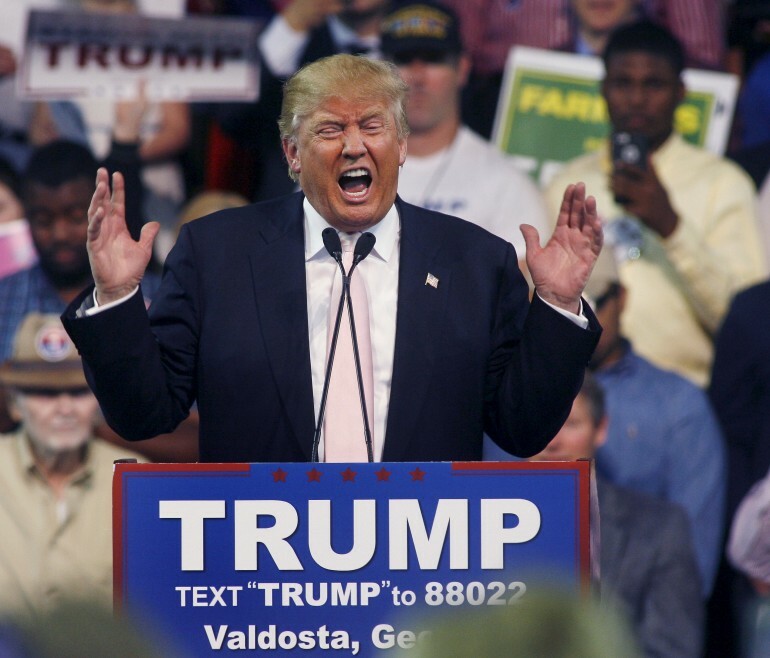 Trump's Off-The-Record Immigration Remarks: Are Mogul's Flip-Flops Old News? A new column in the New York Times attempts to explain how Donald Trump’s off the record immigration comments slithered into a BuzzFeed article and on to Marco Rubio’s campaign stage. In How Trump’s ‘Off the Record’ Remarks Crept Out, New York Times Public Editor Margaret Sullivan addresses reader concerns about the incident, as well as a scathing critical piece by Brazil-based journalist Glenn Greenwald. The questions are two-fold. First, how and why did the Times leak paraphrases of the article. The problem resulted from an “accident waiting to happen,” Sullivan argues, especially “the mixing of editorial and news side, the mixing of on- and off-the-record.” She points out that around 30 people were present for the “off the record” portions of the conversation. To Sullivan’s credit, the columnist -- who functions as a sort of NYT ombudsman -- susses out information about the leak and identifies the source of the problem. Yet Sullivan does not fully address the second and most important criticism lodged by her reader and Greenwald. This is more than just a spat between media observers, but a fundamental question about how the press should represent readers during a crucial part of the democratic process. Greenwald questions the use of off the record conversations for newspaper endorsements. “Why would you want to base your decrees on views the candidate is unwilling to have voters hear?” Glenn Greenwald asks. To these complaints, Sullivan’s conversations with the NYT editorial board lead only to a lean on laurels and precedent. “Should The Times continue to host off-the-record sessions with candidates, so that the editorial board can consider endorsements? I’m certainly no fan of The Times taking information from politicians or government officials that cannot be used or attributed, as I’ve written endlessly. But this opinion-side practice for pre-endorsement meetings is a long-established one that can serve a worthwhile end, if everybody observes the rules,” Sullivan writes. Both Sullivan and Greenwald suggest that the newsworthiness of BuzzFeed’s scoop is meak at best, arguing that Trump’s previous interviews have already covered his willingness to compromise on immigration reform. Both cite an interview with the Washington Examiner’s Byron York, among others. TRUMP: I'm not saying there can't be some give and take, but at some point we have to look at these things. You look at the radical Islamic terrorism and you look at what's going on, we have to take a serious look. There's tremendous hatred. You look at illegal immigration and all that's taking place with respect to illegal immigration, whether it's the crime or the economy, I mean, it affects many different elements. It doesn't mean I'm hard and fast 100 percent, but we have to get a lot of what I'm asking for, or we're not going to have a country any more. YORK: So they are opening positions? TRUMP: They are very strong positions. It doesn't mean you're not going to negotiate a little bit, but I guess there will always be some negotiation. But they are very strong positions, and I would adhere to those positions very strongly. That doesn't mean that at some point we won't talk a little bit about some negotiation. Who wouldn't do that? Trump’s Immigration Policy: ‘Negotiable’ Or Just Totally Vague?